75 acres in Granger available for sale!! 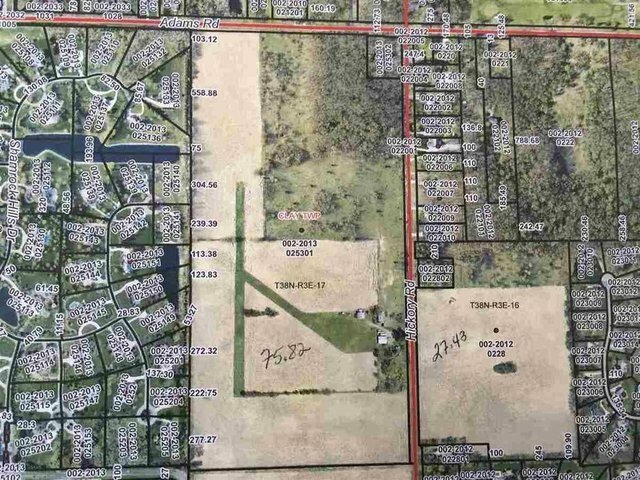 This is an amazing opportunity to buy this large a parcel in Granger. Located on the west side of Hickory Rd. Between Brick Rd. and runs all the way up to Adams Rd. City water and sewer available! 9+ acres are beautifully wooded! Shamrock Hills borders to the west. There are 23.43 acres are available by the same owners across the street. Minutes away from Notre Dame, shopping and dining this is a truly unique opportunity!